The Body Silk Seamless nursing cami provides everything moms love about the Body Silk Seamless nursing bra now in a smoothing nursing cami (‘cuz a Body Silk Seamless nursing bra is knitted right in!). 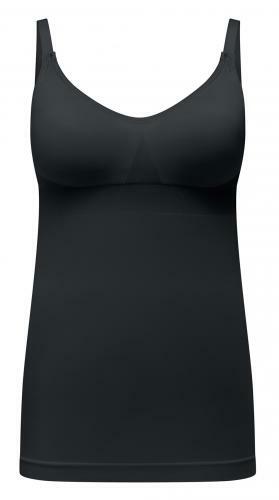 This is the perfect innerwear piece for layering. 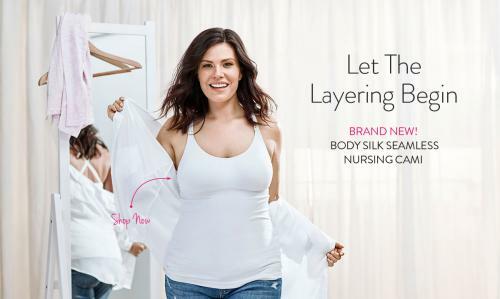 Whether pregnant or nursing, you can enjoy the Body Silk Seamless experience from top to bottom. 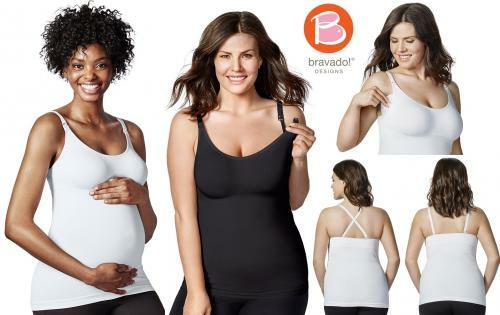 A luxuriously soft double layer fabric and 4-way stretch material that adapts to your changing shape throughout pregnancy and nursing. Removable foam cups give you a smooth look. 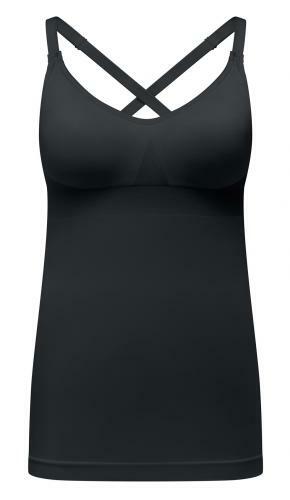 Soft, comfy stretch band makes this a favorite of our moms for maternity & nursing. Choose White or Black in S, M, L, or XL. 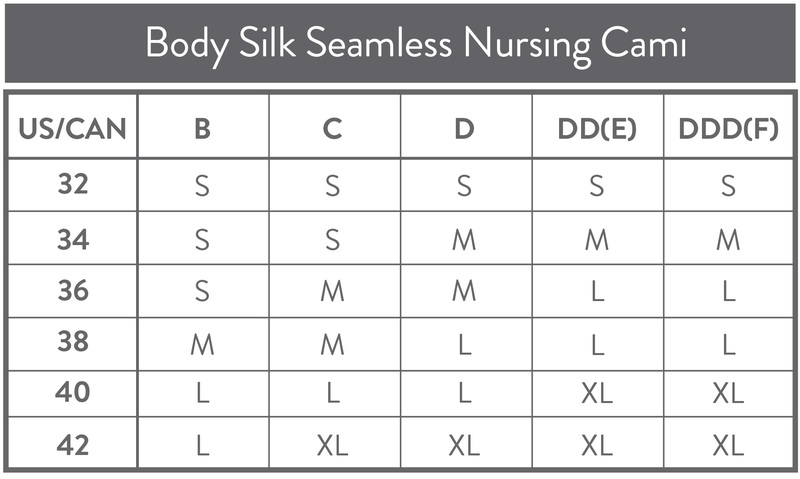 NEW Full Length Smoothing Cami with Body Silk Seamless Nursing Bra Knitted Right In! Good alternative for a bra!